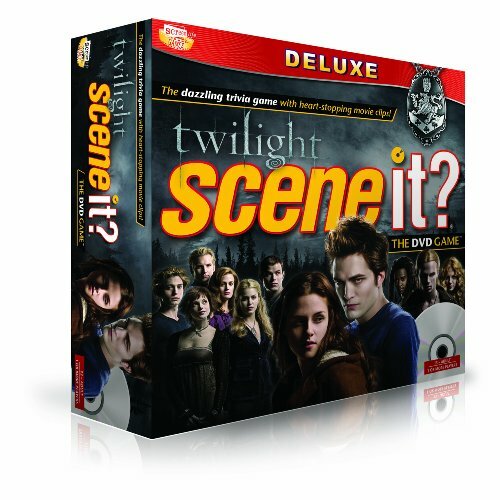 This game is based on the Twilight movie saga with lots of puzzles and trivia worth biting into. Test out your vampiric skills. You don't have to be undead to enjoy Scene It? Twilight DVD Game Deluxe Edition. The new moon calls.